The first step of any self help program is to admit that you have a problem. It can be smoking, drinking, drugs, or collecting Jensens, but when you look into your garage and see that all of your time/money is being dumped into this addiction, you need to find help. When you have collected your 4th Jensen Interceptor and are storing the top to who-knows-what on a Porsche 911...it might be time for a garage sale. 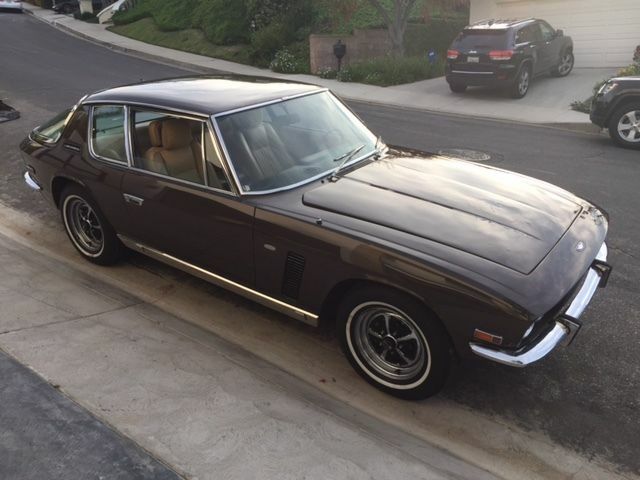 Find this 1970 Jensen Interceptor II offered for $14,600 reserve-not-met here on eBay with 4 days to go, located in Encino, CA. The Interceptor's curvaceous body was designed and fabricated by Carrozzeria Touring, a famous Italian coach builder known for building beautiful pre-war Alfas and BMWs. 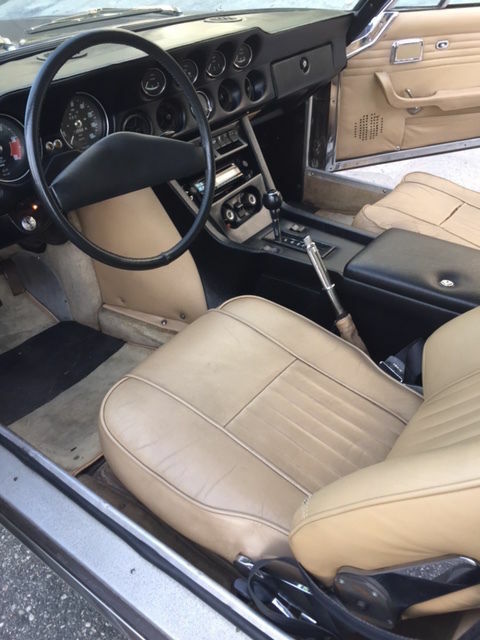 However, where the Interceptor makes its presence known is when you fire up the American V8 under the hood. The Interceptor was powered by a Chrysler 383 cubic inch V8 that pushed 335 SAE gross horsepower (270 net) into the rear end via a Torqueflite 3-speed slushbox. 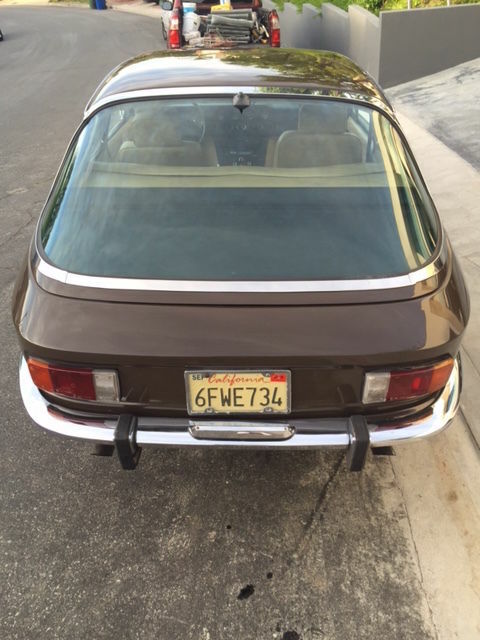 This particular car spent most of its life (claimed one owner until last month) in Southern California and is completely rust free and original (apart from one respray in the original Havana Brown color). Where else would you keep your spare 911 roof? The storage shelf is perfectly contoured to fit the item being stored. I might have put a blanket down. look closely and there appears to be a shred of something between the cut off pillars and the gutter on the bottom car - odds it's a sliced up tire? - which kind of works, eh? And nylon rope - front and rear - this wasn't just storage my friends. I'd buy the guy a beer, that's awesome! Random cargo of the year award. Jensen never did have much luck generating interest in these cars, especially with a 911 around. An interior re-trim will buy a nice cottage in VT. They get about the same fuel mileage. I owned a very rare FF 4wd model 20 years ago in VT. It was extraordinarily rusty. The chrome and badging were defying gravity. 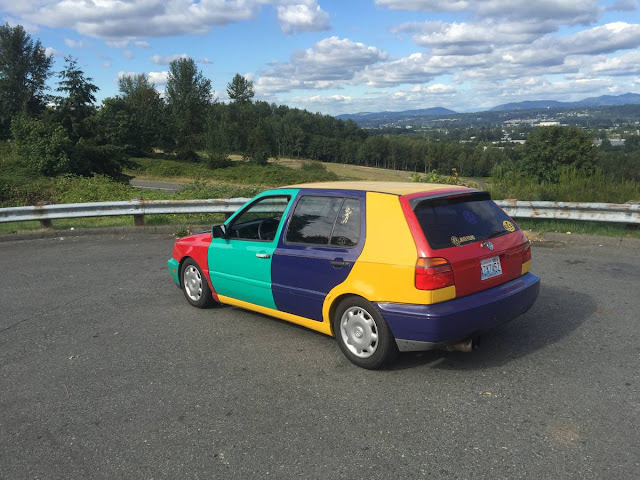 But the car was a gold mine. $2k in 1995 money for the "bonnet" and $350 for the FF badging. 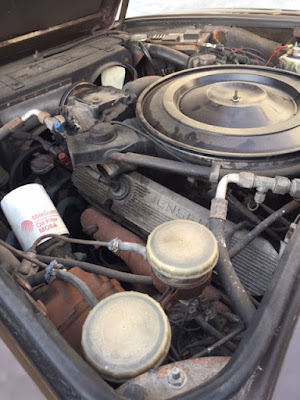 The Ferguson 4wd system went for a paltry $3500. The blokes across the pond said they had low-balled me. I paid $250 for the including them dragging it out behind my barn. The problem is living in constant expectation of finding another one. Did I mention how much I loved that hulk?